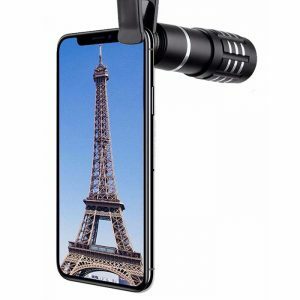 8X Mobile DSLR Lens is a super-premium auxiliary smartphone zoom lens that will bring professional image magnification to today’s Smartphone Cameras. 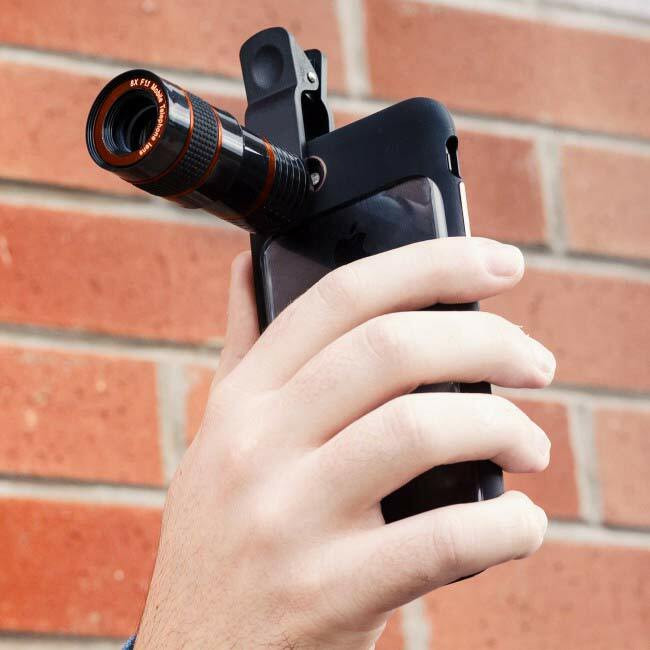 Turn your short-sighted Smart Phone into a real optical telescopic camera and shoot long distance high quality 8x zoom lens photos with our Mobile DSLR Lens. 8X Mobile DSLR Lens is a very powerful mobile photography optical lens, now in your budget. 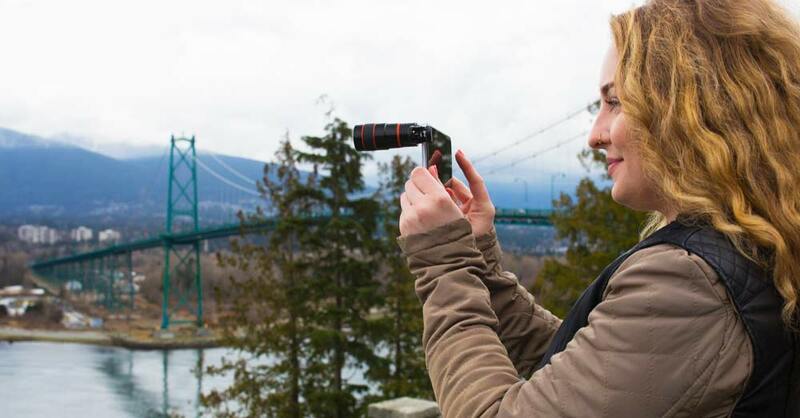 Forget the super costly DSLR lenses, and the hassle of carrying their bulk of weight. This 8X Mobile DSLR Lens is here to make your life more simple and sorted. 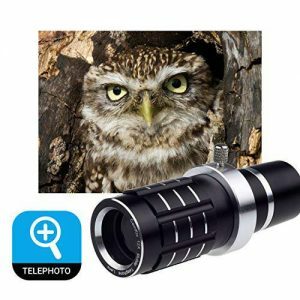 It is small enough to fit in any of your pocket and capable enough to help you click excellent optical zoom shots with ease. 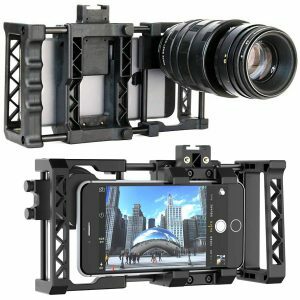 Best part is that 8X Mobile SLR Lens is fully compatible with most phone brands like Apple, Samsung, LG, Sony, OnePlus, Huawei, Honor, Lenovo, Motorola, Micromax, Microsoft, Oppo, Vivo, Xiaomi, LeEco, Lava, Panasonic, etc. View & Shoot Far Away Objects As If They Are Inches Away! 2) 8X zoom provides a very zoomed and clear image. *warning* no instructions are included but if you have a tiny bit of common sense you can figure it out pretty easily. 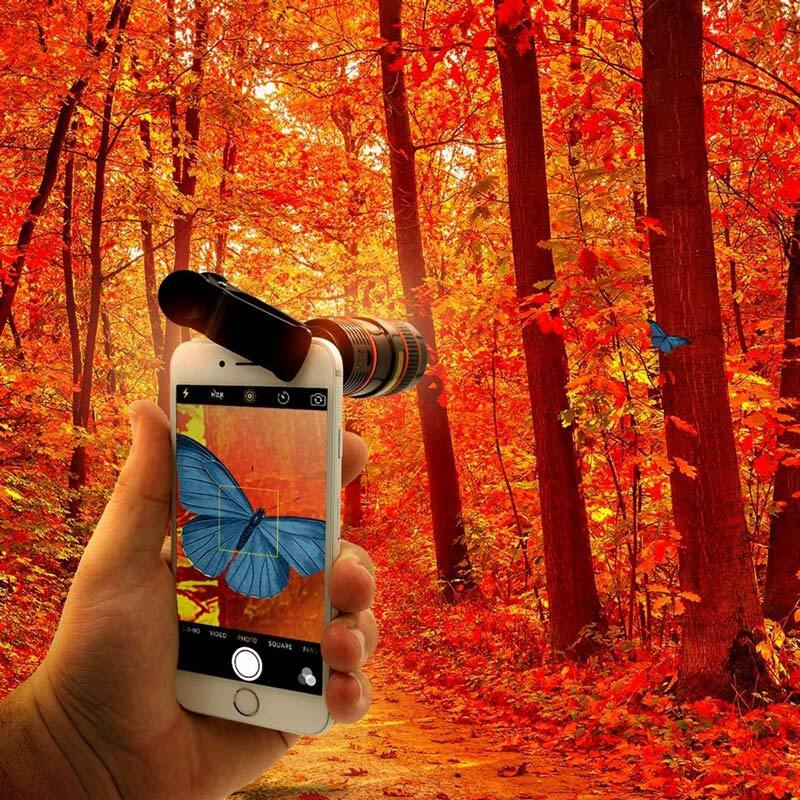 The telephoto comes with a little focus feature. So you can focus on the spot you want. The fixed zoom is actually pretty incredible. I have it a 5 out of 5 because this is well worth the money! It’s fun and not to mention pretty neat! It may not be a professional grade camera but it takes some fun shots! 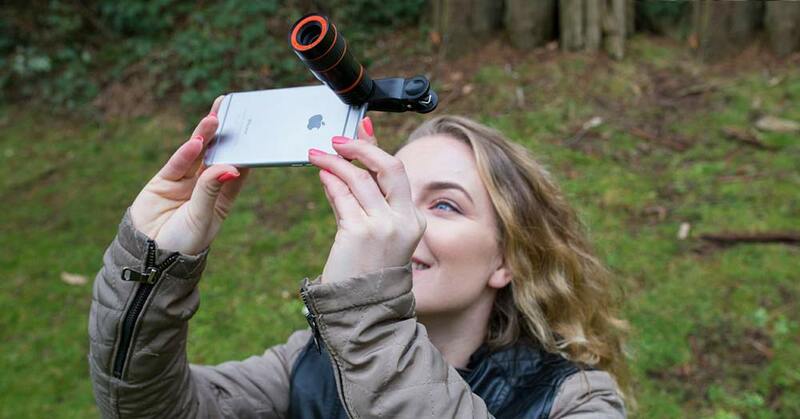 This wonderful camera lens has many uses and the kids are having an absolute great time with it. For it’s size this thing is quite impressive and very light weight. Mind you this does take a few mins to setup to get it just right on the phone to take some beautiful pics but it is not hard at all. 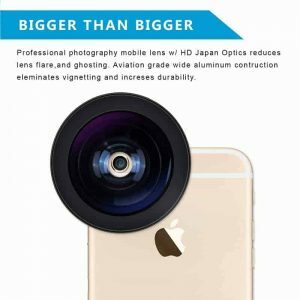 The camera lens is quite universal and fits a wide variety of phones out there, you will see that if you have a single camera that it works much better than if you attached to the newer dual camera lens phones (i.e. iPhone 8+). 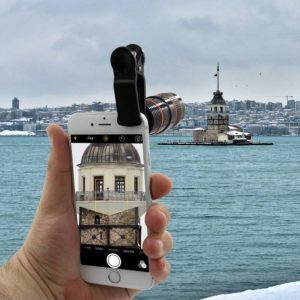 Since if you attach to a dual camera phone and you try to zoom in with the phone software you will have to adjust the add on lens to compensate. 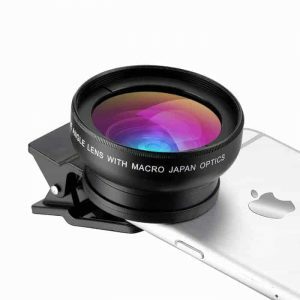 The clip holding the lens is firm but definitely won’t damage anything since it does have a silicone pad on both sides protecting your phone from any harm. Easily you can switch from using it on your phone to a monocular for seeing quickly at long distances. All in all this is quick to attach, simple to use and focuses great. > Not too heavy to hold and looks good. 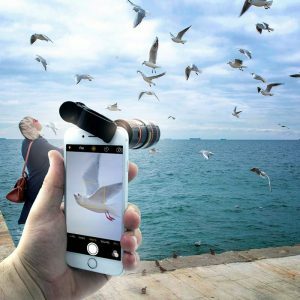 This camera lens set is compatible with the iPhone and allows the camera to zoom it and out, which the original camera cannot do. 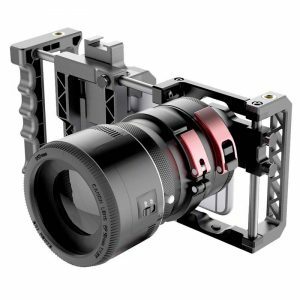 I bought this product along with another camera lens kit, both of which I enjoyed very much. 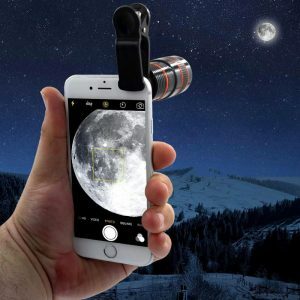 It is a fun and easy way to enhance your phone camera for one who is not looking for a comprehensive professional camera set. excelente produto, material resistência e compacto. Very helpful thing. Easy to use. I recommend. E linda! Trabalho bem mesmo com o zoom do aparelho mover!! Ele fica bem!! 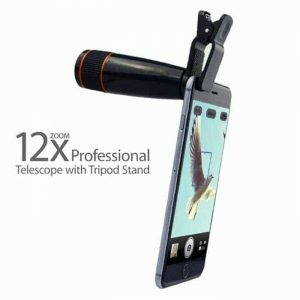 This item works fine on iphone 5s and Samsung Galaxy S6 but the cover on the Galaxy phone needs to be removed for it to be sturdy. Because of the magnification it is difficult to hold camera/phone still, but I used a mini tripod to balance it perfectly. Quality is fine for the price. 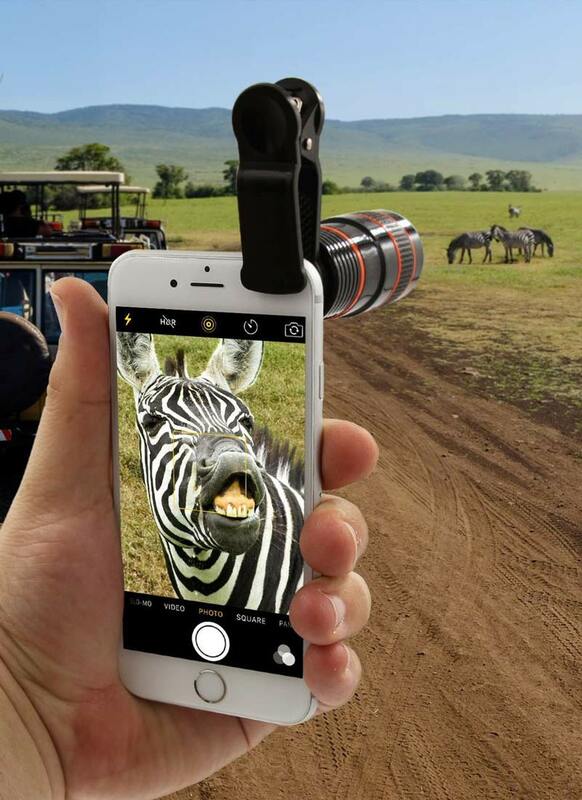 The material is perfect, fits well to the phone. Maybe is to heavy, but everything else, is perfect. Not bad, value for money. Light and portable. 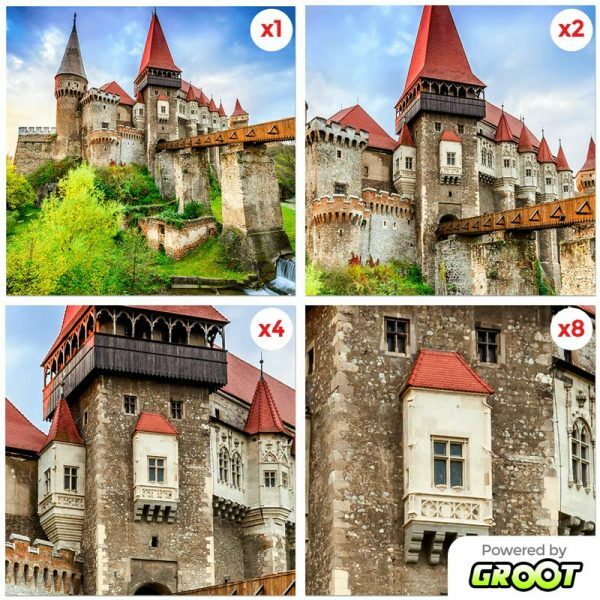 Zoom is probably around 8X as stated. Comes with instructions, little cute bag, lens cap, and mobile phone attachment clip. Nice and easy to use. The shipping was fast. The service is outstanding. Много добро устройство за телефони. Дава голямо приближение. Вижда се много добре. Много добре изработено.